WHAT SHOULD PEOPLE KNOW ABOUT SUGAR AND HIGH FRUCTOSE CORN SYRUP IN KIDS FOODS? Before I get to the recommendations, I would love to define, as I think the most important thing is to understand what HFCS actually is. Contrary to some ideas and beliefs, and to my understanding through reading; as the name may suggest, I will say HFCS is NOT a sweetener created from extra-high concentrations of fructose alone. According to an institution, (Academy of Nutrition and Dietetics), HFCS is produced from CORN SYRUP. This syrup is mainly processed to increase the amount of fructose. Fructose (complex sugar) is naturally found in fruits, while glucose (simple sugar) is used as a source of energy for the body. Some researchers’ suggestions stressed that “the fact that fructose and glucose in HFCS are “blended” together, unlike the table sugar, which is chemically bonded, makes the fructose gets easily absorbed into the body and quicker. It is these researchers that also claimed; this compound affects the blood glucose and insulin levels, and for that reason, it is responsible for the increase in the rate of patients suffering from obesity in our population. There is the other research that suggests and counters the above idea “this is not true, as there are nearly no differences in the absorption levels of HFCS and other sweeteners. Okay, I can see I’ve put you in a state of dilemma. I’m sorry, but make sure you read till the end. According to The American Medical Association: Over the past 30 years (within the time HFCS was introduced), there has been an increase in the consumption of added sweeteners and calories. However, the rate at which obesity has risen even in HFCS consuming countries is shocking. 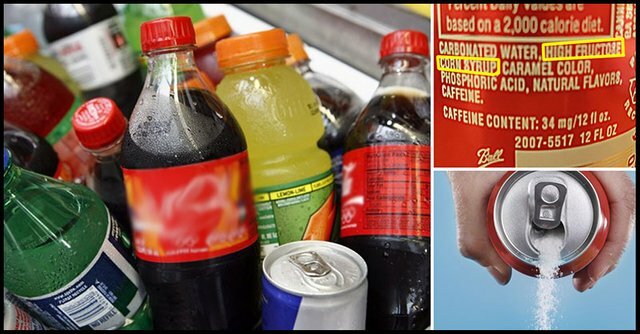 While there is still an ongoing research about HFCS, you are best advised to watch your intake as well as what your family consumes if contain any type of added sugar. According to the Centers for Disease Control and Prevention (CDC), the recommendation for sugar intake and fats combined; among children shouldn’t be more than 15% of daily calories. In which, some federal health officials make a report that; added sugar in drinks and foods is almost 16% of the calories that US children consume. Yeah! Kids might enjoy the colorful fruit punches, snacks and sodas that contain corn syrup much more….. But the negative is the case with their parents, as most parents know the adverse effects of these hand-made elements. Recently, corn syrup; mainly high fructose corn syrup, has been a huge concern not only among parents but also some experts. According to experts in the health field, this compound has been linked to a metabolic syndrome, obesity, high blood pressure and type-2 diabetes. Also, this dangerous innovation may serve as an agent of change in a child's behavior. Hyperactivity: (A study conducted at the University of South Carolina, found out that hyperactive children are likely to have consumed large amounts of sugar, which make them behave in a more destructive and reckless manner). 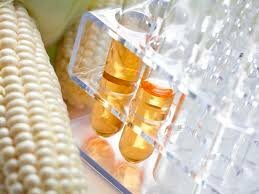 In addition, as found in the Washington Post, a study conducted at the Institute for Agriculture and Trade Policy made us know that several levels of mercury were found in 9 out of 20 samples of commercial high-fructose corn syrup. In which, the presence of this element (mercury) in any diet could result to adverse behavioral effect, negative effects on language skills, deteriorate the memory, worsen the ability to attend to friends and neighbors (anxiety), brain damage and bad nervous system. Furthermore, the effects of corn syrup may take on a different form which ranges from crying, crankiness, night-walking, irritability, and fatigue. A Renaissance physician, Paracelsus famously affirmed that “The dose makes the poison.” This is simple! It means; harmless substances could serve a negative impact to a greedy food lover, and if care is not taken it might turn toxic if you eat enough of them. And, if I’m also asked, “Is high fructose syrup really that bad for me?” I will repeatedly say with confidence that I backed Dr. Paracelsus’ theory, as I was also a victim. Too much of sugar is absolutely dangerous to one’s health. In the world today, we are eating huge doses of sugar, especially high fructose corn syrup in some countries. It is true that it is sweeter and cheaper than the regular sugar we know; and, you know what? It can be found in every processed food and sugar-sweetened drinks we consume. What to do? Be dedicated and committed to controlling your intake or totally neglect this killer. Better still, you could find an alternative. Preferably, honey is a perfect alternative as I think. As regards the chemical processes the high fructose corn syrup passed through, the compounds (glucose and fructose) which are naturally bound together take a separation process, and this allows the fructose to find its way directly into your liver, in which, in the end, this turns into a factory of fat composition in your liver called lipogenesis, leading to a liver disease called Fatty Liver; the most widespread disease in America today, affecting about 90 million Americans. This, in turn, leads to diabetes. 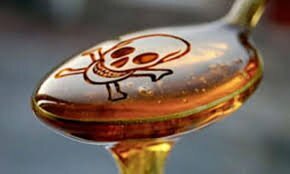 So, this evil compound (high fructose corn syrup) is the real driver of the existing epidemic which include; strokes, heart attacks, dementia, cancer, and of course, Type 2 diabetes. Additionally, chloralkali is used in making corn syrup. It contains mercury, and with time, these heavy metals can accumulate in the body, causing dangerous health challenges. If this ingredient is found on the label of your favorite food, I guarantee you; the food is processed junk, and not consumable. So, never buy it, please return it back to the shelf. Right now, I will urge you to go into your kitchen, search through your cupboard and refrigerator, and check for this ingredient on every single product label. Then, buy a big garbage bag; even if worth a thousand dollars, throw them out and find replacements that you are sure are free of this deceitful compound. I’m also a sugar addict, so if I would advise you, I will like to put it this way, “do you want to have some sugar? That’s fine, but be conscious of your intake; Have a little sugar. Don’t eat any food made with added sugar, put sugar yourself. Cut the deadly high fructose corn syrup from your life forever. And, I will tell you, healthy life will be a friend, not only to you but also, our entire planet. And, in the long run, we’ll be blessed with a generation of healthy children. Finally, if you want to stay healthy forever, get rid of the chronic disease, lose weight easily, or be of help in reducing the obesity epidemic, then, you can do your part by eliminating high fructose corn syrup from your diet and that of your children’s too. Please banish this invisible poison from your house.